A Haitian, a Basque and their mexican puppy searched for a van in Panama. 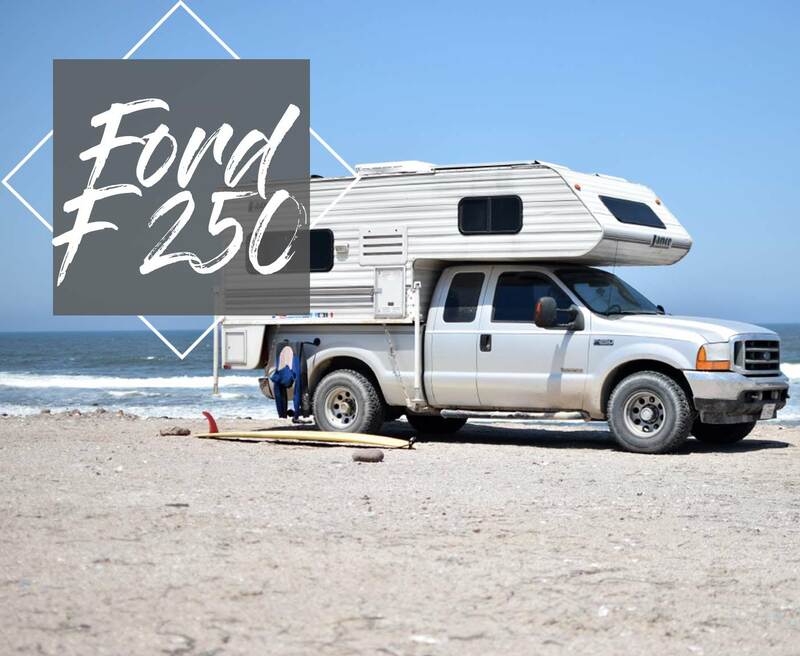 When they saw the Ford F250, it seemed like it was perfect for a long-term trip for two people. 2 Tell me a bit about you and tell me, what made you want to start the Vanlife? 3 Why did you choose the Ford F250 and not a smaller or bigger one? 4 So, if not your vehicle, what camper-model would you choose too if you could and why? 5 Did you work anything on your vehicle yourself or did you get a carpenter? 6 What do your friends and family say about your Vanlife-choice? 7 Which countries did you travel to with your Ford F250 ? Which one was your Favorite by now and why? 8 What was the most beautiful road you have driven with your campervan? 9 Some people prefer campsites for the night, others love free camping somewhere in the middle of nowhere. What do you prefer and why? 10 What is the hardest part about living in the Ford F250 ? 11 What is the best part? 12 How do you fund your travels? Do you also work online? 13 How is it to travel with your puppy? 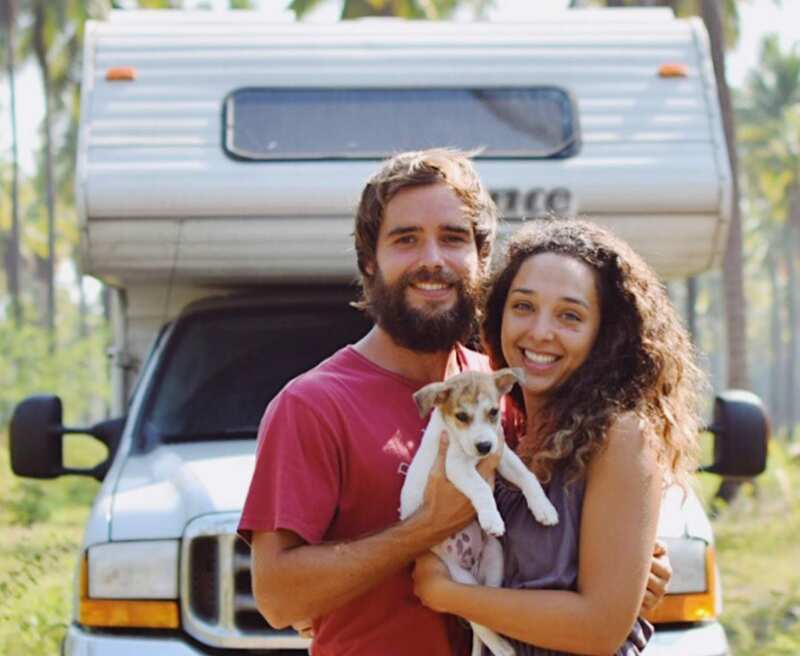 14 There are more and more people who want to experience vanlife. What is the most important thing you would wanna tell them before they start? 15 How long do you plan on living in a van? Do you have a long term plan? Tell me a bit about you and tell me, what made you want to start the Vanlife? Eka and I were in the middle of a transition phase. I was finishing my master’s degree and he was up for a change professionally. Eka knew a little about the Vanlife already, he owned a van in the Basque Country where he’s from and so ran the idea by me and I loved it. Why did you choose the Ford F250 and not a smaller or bigger one? We searched for a van/camper in Panama where the offer is really low. Every single van we would find was either in bad condition or in another country. When we saw it, it seemed like it was perfect for a long-term trip for two people. 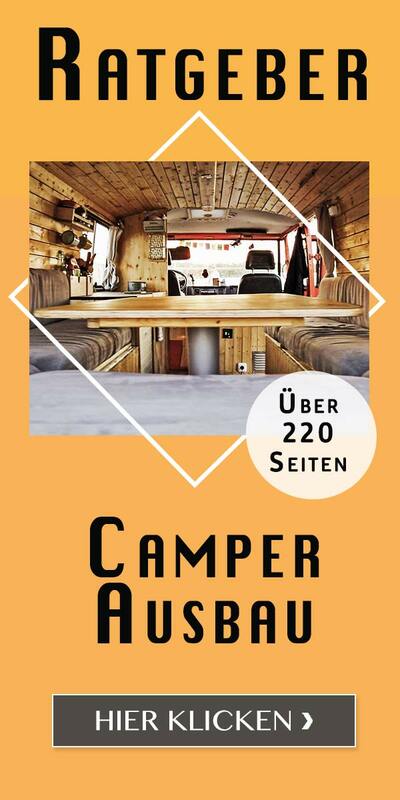 So, if not your vehicle, what camper-model would you choose too if you could and why? Now that we’ve gone through our first trip, we know that we would want a smaller vehicle (especially because of the height) but with the same comfort (bathroom, indoor kitchen and fridge). Did you work anything on your vehicle yourself or did you get a carpenter? We have a Lance Camper so everything was built in by the manufacturer. The only thing we re-did inside was the curtains and the solar panel installation! What do your friends and family say about your Vanlife-choice? Eka’s family embraced the idea straight away. He was born into a family of travelers and has visited many countries with his parents and his brother since he was a little kid. My family supported me but was a little skeptical at first. They didn’t know where the idea came from and didn’t share the excitement I felt when thinking of living on the road for so long. With time, they understood me and continued to support me even more. Which countries did you travel to with your Ford F250 ? Which one was your Favorite by now and why? We started our trip in Panama and drove all the way to Alaska and so we’ve visited a total of 10 countries on this trip: Panama, Costa Rica, Nicaragua, Honduras, El Salvador, Guatemala, Belize, Mexico, The United States and Canada. It’s a difficult question because we loved each one of those countries and they are all special. That said, we spent 7 months in Mexico and loved it! They have amazing beaches, awesome waves, pristine cenotes, gorgeous waterfalls, amazing diving, the people are so welcoming and the food is outstanding! What was the most beautiful road you have driven with your campervan? This is a very hard question for us, we’ve driven so many beautiful roads throughout Central and North America. From the roads cutting through the tropical rainforests of Costa Rica, the beautiful coastal roads of Mexico, the magnificent sight of the red desert of Utah to the snowy roads leading to Alaska, they were all unique and hold a special place in our memories. Some people prefer campsites for the night, others love free camping somewhere in the middle of nowhere. What do you prefer and why? We definitely prefer free camping but occasionally, with the heat in Mexico or the cold in Alaska, we would find a place to camp to be able to use our AC or the heater. If not necessary, free camping is the way to go for us! What is the hardest part about living in the Ford F250 ? We would say that the hardest part with living on the road is having to say goodbye to everybody that we meet. We’ve met amazing travelers and locals on this journey and it was always hard to leave and move on, especially when we didn’t know if we would ever see each other again. The other negative part is not being able to have 100% privacy if you want it, the camper is too small for each of us to have our own space. The best part is the freedom. The choice of staying as long as you please and leave if you don’t like a certain spot, of going back to a special place if you feel like it and take a big detour to eat a local specialty. How do you fund your travels? Do you also work online? We both fund our travels with savings from previous jobs. I did a few jobs online such as translations or text editing but nothing that would be enough to pay for my travels. How is it to travel with your puppy? Traveling with our puppy is amazing. We love seeing our little one grow on the road and see how she’s come to embrace the exploring of a new place. 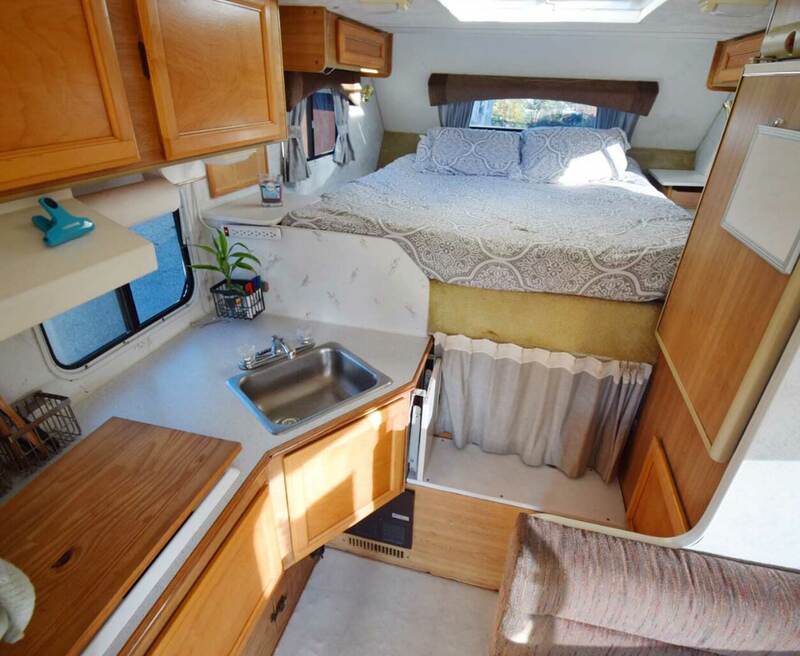 It can also be a little complicated as times, for example when it rains, we’d love for her to have a bigger space to run around and play instead of the small space of the camper. She’s gotten used to it and defends her home on wheels fiercely whenever a visitor tries to get in haha. 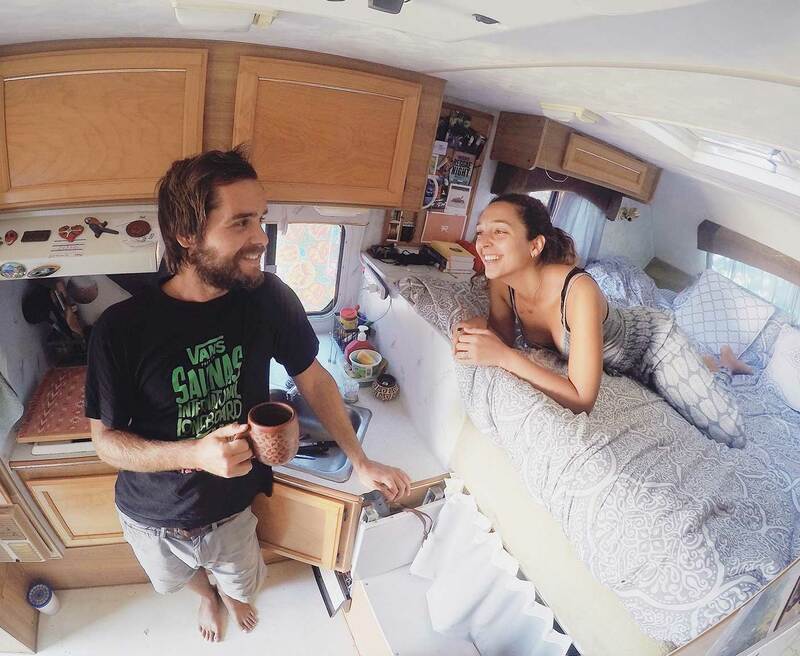 There are more and more people who want to experience vanlife. What is the most important thing you would wanna tell them before they start? “All that glitters is not gold”. The Vanlife is not always as pretty as it looks on Instagram. Sometimes we camp on beautiful turquoise beaches but other times we sleep in gas stations or Walmart parking lots. Sometime your car breaks down and you have to spend your days at the mechanic. Sometimes it rains for days. There’s not much privacy when you share this life with a partner. Don’t get us wrong, it’s a beautiful experience! We’d just want people to know what they’re getting into. 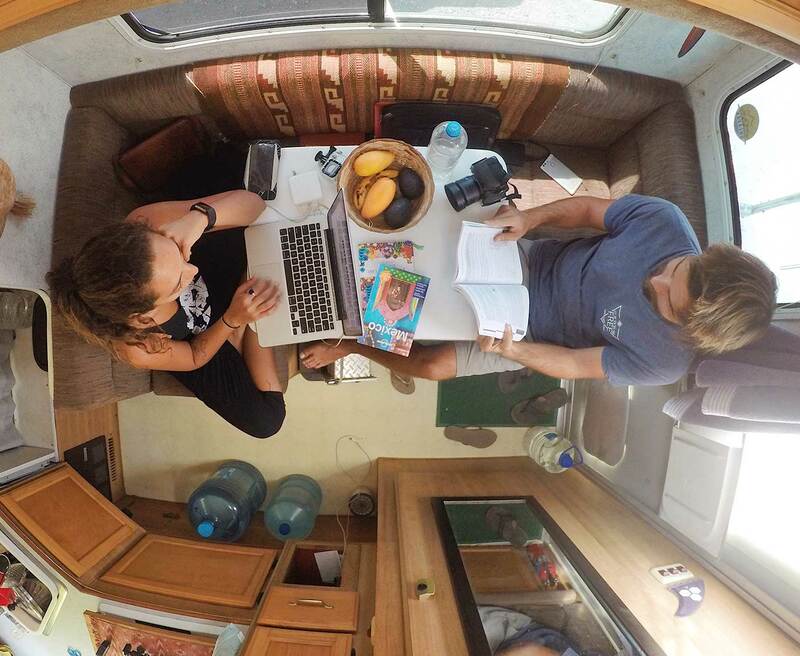 How long do you plan on living in a van? Do you have a long term plan? Our Vanlife journey is almost over for now. We’ve been traveling for 15 months and we’re now selling our camper in Seattle. We will each be going home for a few weeks, and then we will go to the Dominican Republic, where my father lives. That’s the only long-term plan we have for now, and of course, the intention of doing another long-term Vanlife trip soon!